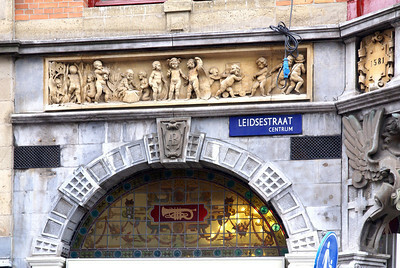 Carvings(?) 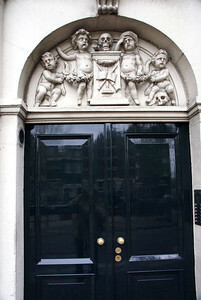 over door of building, probably apartments. 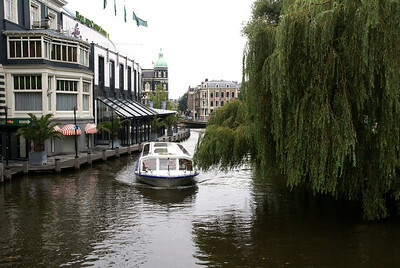 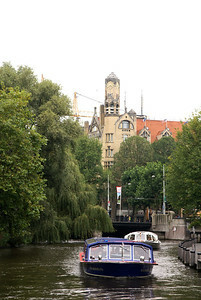 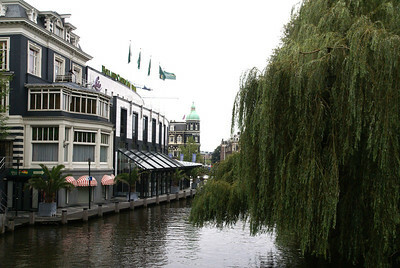 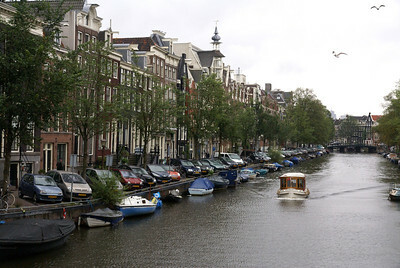 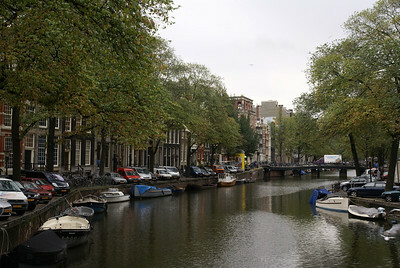 Typical canal with buildings and narrow road along each side of canal. 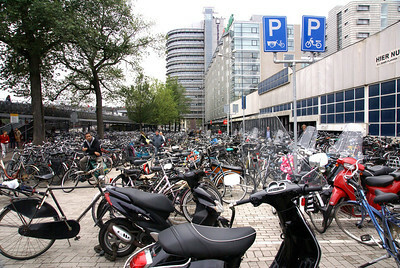 Bicycle and motor bike park at the main train station. 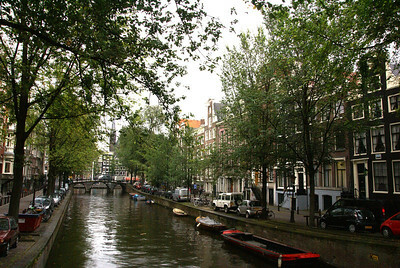 Bicycles are everywhere in Amsterdam. 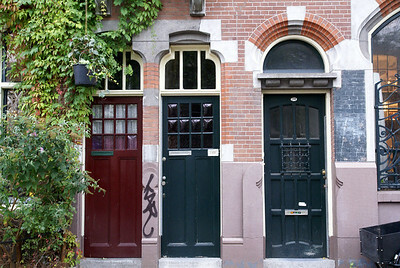 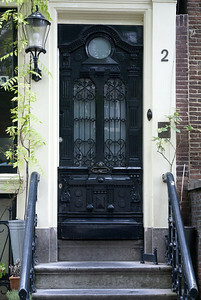 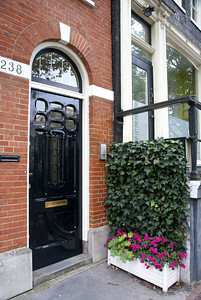 Doors along a canal street. 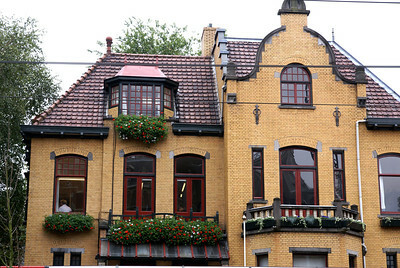 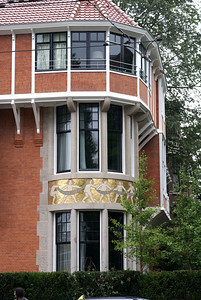 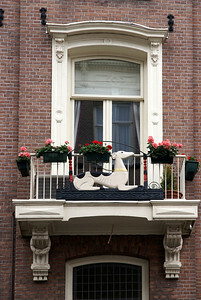 Window with flower boxes, deer. 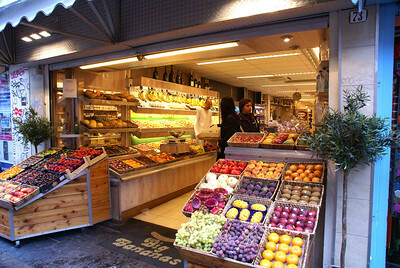 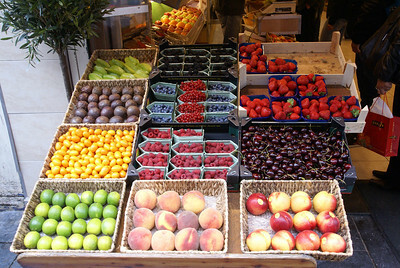 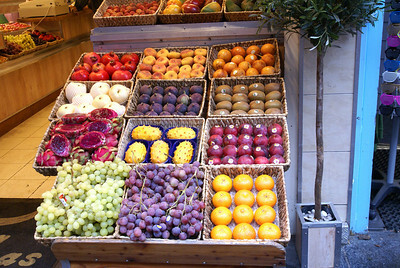 Fruit on sidewalk in fron of market. 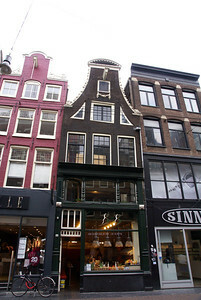 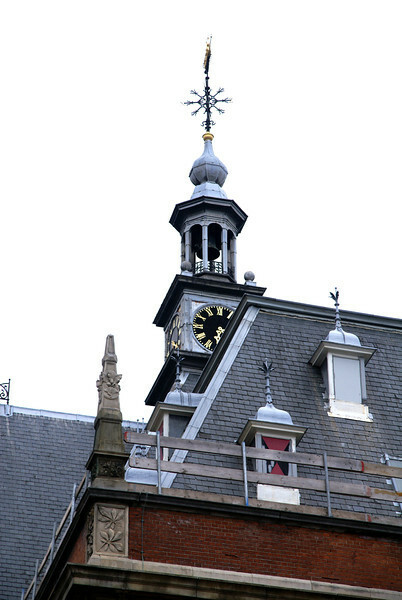 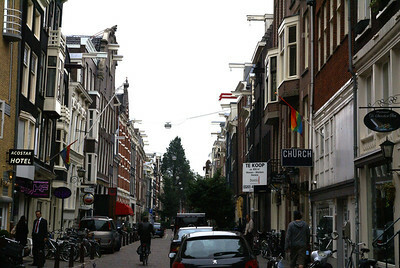 Amsterdam street with hoists on buildings. 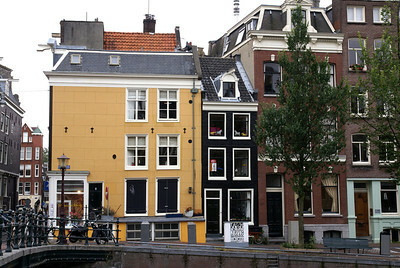 The leaning in of the buildings is not an illusion. 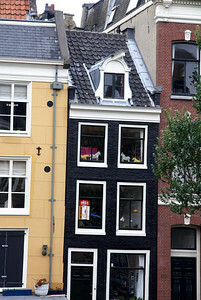 In order to clear the side of the building the top has to stick out. 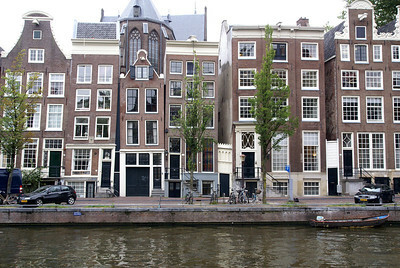 Narrow houses/buildings on canal street. 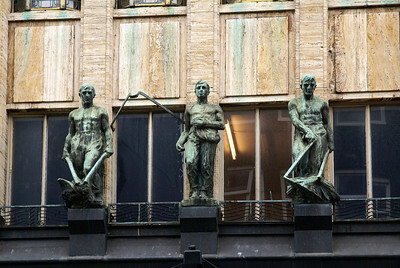 Statues on front of building. 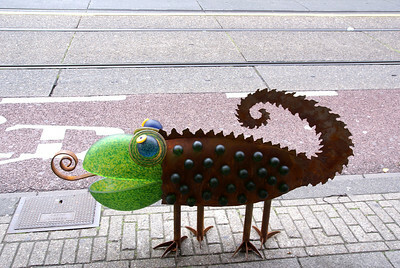 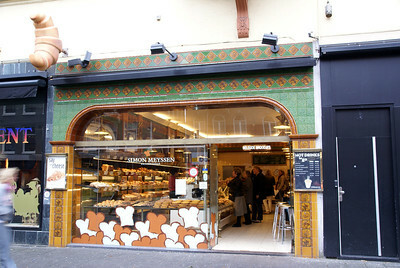 Decorative panel over shop door. 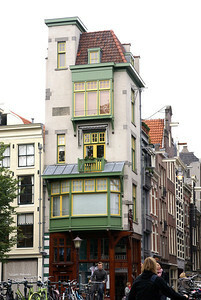 Leaning buildings on canal street. 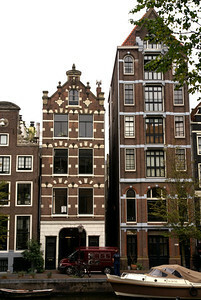 The ground is very soft and the buildings shift and lean. 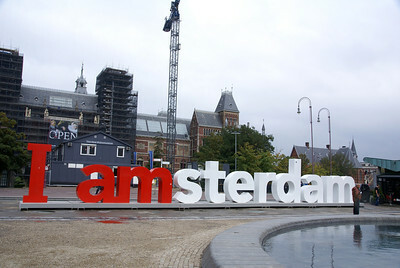 The camera was level. 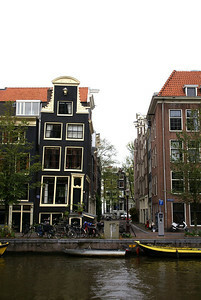 Leaning buildings on a canal street.